Fully Furnished-Easy Application. No Board Approval Needed. Includes Citi-Bikes, Co-working Lounge available. LOFT APT WITH HIGH CEILINGS- TALL WINDOWS, overlooking townhouses, give you the feel of living in the West Village but with the abundance of restaurants and nightlife that Clinton Hill has to offer! Be first to live in brand new construction apt.This split 2 bedrooms boosts tons of natural lighting, featuring Southern exposure throughout the residence with substantial loft like windows, high ceilings an open living area and generously proportioned bedrooms. The kitchen has a modern aesthetic with a built in refrigerator & dishwasher, featuring ample cabinet space and accompanied by an open design concept. This residence has beautiful stained oak flooring throughout and a chic marbled & tiled bathroom, as well as a washer and dryer in the unit. Subway only 2 blocks away, near corner of 9th avenue Restaurant and Night Life. Central Park only 7 blocks away. 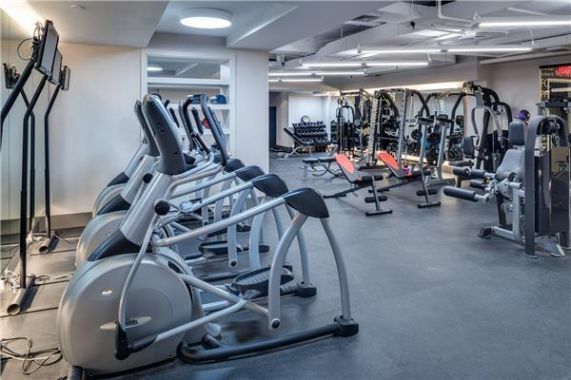 Building has amenities galore including rooftop lounge with amazing views of the city and a tranquil zen garden nestled in the courtyard of the building.